I like most of Management 3.0 principles, but there is one thing I don’t agree with:Kudos. Indeed, Kudos, like every rewards, can be counterproductive and become toxic for individuals, a team or a product. Kudos (from greek κύδος / kýdos) refers to the glory and fame that result from successful action. (according to Wikipedia). Jurgen Appelo introduced kudos with a “Kudo Box” with his concept of Management 3.0. I will refer to this version of kudo in this article, and its use as described in “Doing It!” by Ralph van Roosmalen. 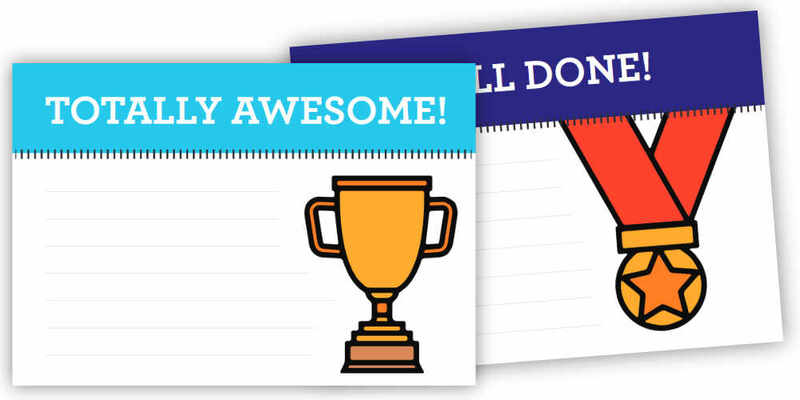 In Appelo’s book Managing for Happiness, the kudo box is described as a box in which team members can put kudo-cards (like the image above) to express gratitude to a fellow team-member. Kudo cards can also mean a small rewards (like money or candies) for the one who receives it. The problem with Kudos and any other form of reward or recognition is that as soon as you start to use them, it might become a due. You don’t act for yourself anymore ‒not only‒ but to get the kudo. Of course you help others for the benefit of the team, not for a reward. But let’s think about that: how would you feel at the end of the iteration if you’re the only one of the team who doesn’t receive a kudo, despite you helped many times? There is good chances that the only reason is that the other person you helped forgot to write a kudo for your service. It is not a judgment of your help or yourself, it’s just an omission. And it can be quite difficult to go to the person and to ask for a kudo, right? The pyromaniac firefighter syndrome is when you do anything to provoke the need of your intervention, like a firefighter who ignite a fire to be the one who helps and saves people (usually in front of TV cameras). When you feel you deserve a kudo but don’t get it, next time you may take actions to be sure you get it. In the purpose to have it, instead of just helping someone. Your goal, becomes the kudo. I don’t think Olympics champions train for years, for a medal. Within an agile team, I don’t think you should help others in order to get another reward than your self-satisfaction. Our need for kudos seems to come from the way we were raised. Kudos can be toxic for children, and intoxicate our adulthood too. When you repeat to a child that you are very proud of him or her, then the child will seek for this recognition and act for it. As an adult, this child will look for the next “parental figure”, like a manager and might not act for himself, but for his manager to be proud. In classrooms where students can make choices about learning and have tasks of worth to explore, the need for punishments or rewards declines sharply. Another problem with kudo might be the Superkudo-person in the team. The one who help so much, that he or she gets a lot of kudos. So much, that one might think that this Superkudo never needs help, or that it is a target, because one’s kudo would mean much more if it is given by a Superkudo. Hey I did one for you, you have to do one for me! To give a kudo should not mean that you owe me one. But sometimes, some people may think they should get a kudo (especially if a kudo means some money) because they give a kudo. Some could even be tempted to make an arrangement to exchange kudos. And if you do not comply, then, you may be excluded from a core team, because you don’t play the kudo-game. Using kudos is like using candies with children, it’s easy. On short term. I don’t recommend to use them, but then, how can you help your team to share and communicate? For better result on long term, I would suggest to use a dedicated moment about improvement (like a retrospective for Scrum teams). But I would not recommend to ask people to do things like kudos: “Please tell us who did something to help you this iteration, and tell him or her thank you”. No, I would do the other way: “Please share with us a behavior you are proud of this iteration”. Like a self-kudo. 🏅 A self-kudo is a way to be proud of yourself and then, make people to seek their own enjoyment more than a reward or some recognition. Then, I would encourage the team, next time, not to wait for the retrospective and to attribute self-kudos when they realize they did something great for someone or for the team. 💰 If you really like the way kudos reward a team member with a small amount of money, then why don’t you let people reward themselves with money? I would love to do something, and attribute myself a kudo card with a €20 worth. Did you try? What is your experience? If you already have implemented a kudo box, what was the result? Did you feel or see anything I described here? Or, if you were part of a team that uses kudo box, how did you feel? What do you think of the idea of self-kudo? Let me know!